Our Team - Brain Fit Academy, Inc.
Meet our awesome expanding team of dedicated people who bring unique, authentic gifts to this powerful program! Meghan joins Brain Fit Academy, Inc. to connect with new families inquiring about BFA. She is available to chat about the program and how Brain Fit may meet your child’s needs. 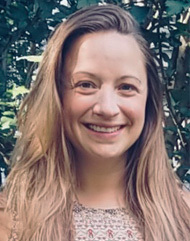 With a Master’s degree in Middle School Education, Meghan dedicated countless years in the classroom educating children of various learning abilities before she switched gears to focus on raising her three children. 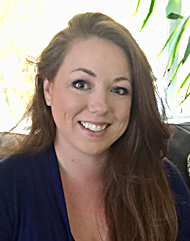 Through her own experiences in Brain Fit Academy, Meghan has developed a passion for assisting families who feel frustrated, exhausted and overwhelmed. She is devoted to supporting children who are struggling to find the pieces of their puzzle which would make life easier in the classroom, and in their everyday life, in order to reach their full potential. Tina joins Brain Fit Academy, Inc. with a passion for helping families drawing from a wealth of experience as both an Educational Lawyer and a Certified Life Coach. Tina has worked in the field of special education for nearly a decade, advocating for policy changes to enhance services and supports for children. She is excited to assist families in our community offering Educational Support through Coaching & Advocacy. She brings a fresh perspective to this role adding Reflex Development as a key piece to finding natural solutions to make significant shifts for children. 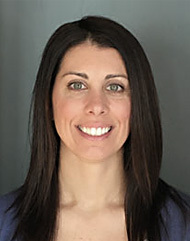 Through her own family’s experience with Brain Fit Academy, she has deepened her passion for the Brain Fit model of finding developmentally-based solutions through increased awareness and strengthening the brain body connection. 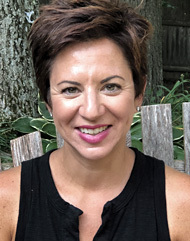 Tina is also a Certified Brain Fit Coach working 1:1 with children and families as well as a Certified Life Coach who has worked with women to help increase their self-awareness and navigate life changes to find increased fulfillment. Tina is excited to be able to merge her passion for special education law and coaching in her dual role as an Educational Coach & Advocate and a Brain Fit Academy 1:1 Coach. 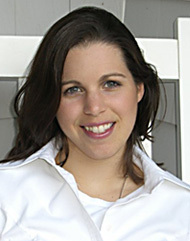 Erin has a degree in Communications and Therapeutic Massage Therapy. She has completed coursework in Reiki, Reflexology, Polarity Techniques and Hydrotherapy. Erin has a passion for working with families, supporting parents and children to create a more peaceful home life for everyone. She spent several years working with pregnant women, infants and new parents at Isis Parenting in Needham, MA and has taught swimming classes to children from 6 months-10 years old. 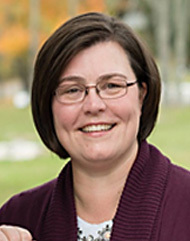 Erin is the current President of the Foxborough Special Needs Advisory Council and a Family Leader for the Massachusetts Department of Public Health. Erin is also known as “Mom” to an adorable 7 year old son who teaches her the true meaning of love every day. 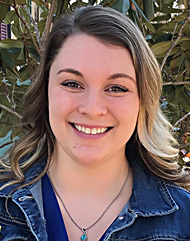 Kate has been a professional childcare provider for the past 12 years, and has also enjoyed working with children as a substitute teacher and volleyball coach. She is a natural with children, comfortably drawing out stuck emotions and reflexes. Kate began her career journey with a degree in Communications and Marketing from Emerson College. She went on to become a Certified Nutritional Microscopist with a background in physical therapy, chiropractic, nutrition, and detox programs. Kate brings a beautiful, diverse background which supports her work at Brain Fit Academy, Inc. working with children and families. Brianna has a multi-disciplinary background with degrees in Behavioral Psychology, and East Asian Mandarin Studies. In addition, she is trained and certified as a Linguist, Life Coach, Psychosynthesis Therapist and Reiki Practioner. Brianna brings a passion for generating open and honest communication, fresh perspectives, and motivation for children and their families to accomplish their social, emotional, behavioral, and physical goals at Brain Fit Academy, Inc.
Amy began her career working in a variety of settings providing one on one assistance to children diagnosed with Autism, behavioral challenges, and Sensory Processing Disorder. She further strengthened her natural skills with special needs children and adults working as an Inclusion Specialist at the YMCA. Amy has completed coursework in Expressive Therapy, Educational Kinesiology, and Nutritional interventions. It is her mission to help others live life with more ease and comfort. 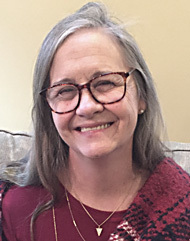 Amy has experienced great success providing therapeutic services to individuals in their homes, and is looking forward to continuing this work as a Brain Fit Academy, Inc. Coach. When Amy is not at work, she enjoys spending time with her family, creating art, and spending time in nature. She is invested in improving her own health and wellbeing through practicing Yoga, Qi gong, and incorporating the Brain Fit Model into her own life. Karen has a strong background in education with degrees in English and Secondary Ed. She found a passion teaching valuable reading, research, and presentation skills, to high school, college students and adults who struggle with literacy. A mother of four children, Karen understands the challenges in finding the right support for families dealing with ADHD and learning differences. She combines these experiences with her background in education, her years as a corporate trainer and her passion for partnering with families in her work with Brain Fit Academy, Inc. clients. Karen is excited to support your family’s journey, helping children and adults succeed in their goals, ease frustration, enhance their mind/body connection and reduce anxiety as they go forward to fulfill their potential. 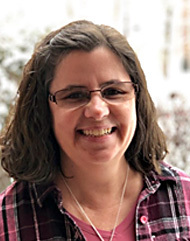 Amy has over 15 years of experience as an elementary school teacher, and is presently teaching technology to fourth and fifth grade students. She recognizes the challenges that children with disorganized brains have in school along with innovative solutions. Amy also has an innate ability supporting others in their emotional journey by releasing the root cause of negative triggers. Through exploring modalities to support her own son, Amy has familiarity and knowledge as to how food sensitivities and diet play a big role in learning and development. Amy’s own experience using the Brain Fit Academy, Inc. model has been life changing for her whole family. She is excited to partner with Brain Fit families so they too can feel healthier, happier, and more at ease in their brains and bodies. Christine holds a degree in Psychology and is enthusiastically working towards a Masters in Counseling Psychology. She brings this wealth of knowledge to all the families she works with including Brain Fit Academy, Inc. families seeking organization and happiness. Currently, Chris also supports new young adult and teen moms with goals of self-care and advocacy as they work towards feeling confident and empowered in their new role as parent. She brings a nurturing approach to teaching how to implement strength-based, collaborative relationships when we are ready to make meaningful changes in our lives. She is excited to partner with Brain Fit families and children of all ages using a wide range of knowledge and techniques!